1. FOUNDATION OF QUALITY HEALTH CARE is based on TIMELY and ACCURATE DIAGNOSIS. 2. UTILIZATION OF RECENT SCIENTIFIC AND TECHNOLOGICAL ADVANCEMENT IN LIFE-SUPPORT AND DIAGNOSTIC EQUIPMENTS IS THE KEY FACTOR LACKING IN THE DELIVERY OF QUALITY HEALTH CARE TO THE PEOPLE OF KALINGA PROVINCE. 3. PROFESSIONAL EXPERTISE is a product of continuing education. 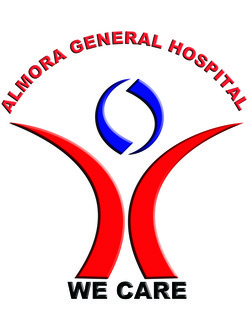 The ALMORA GENERAL HOSPITAL ENVISIONS THE PEOPLE OF KALINGA PROVINCE ENJOYING QUALITY EVIDENCE-BASED HEALTH CARE COMPARABLE TO THAT ENJOYED BY PEOPLE IN TECHNOLOGICALLY ADVANCE COUNTRIES. 1. To make available vitally necessary and currently lacking diagnostic machines and life support equipments. 2. SUPPLEMENTAL SERVICES that is lacking or deficient in other hospitals in the locality in order to lessen the unnecessary referrals to distant medical centers. 3. To provide the patient and the physicians the facilities that will respond to the current and exacting standards of quality evidence-based, medical care at affordable fee rates even to the lowest socio-economic level. 4. To build “trust and confidence” of the people to medical science by developing and delivering the highest possible professional expertise acquired from training and continuing medical education.